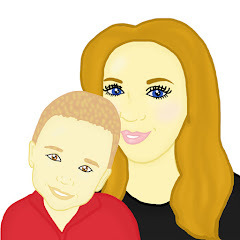 Last week Maxwell and I managed to pack plenty of memories into our half term. We visited some fabulous places but we also managed to spend time together at home and with our family. 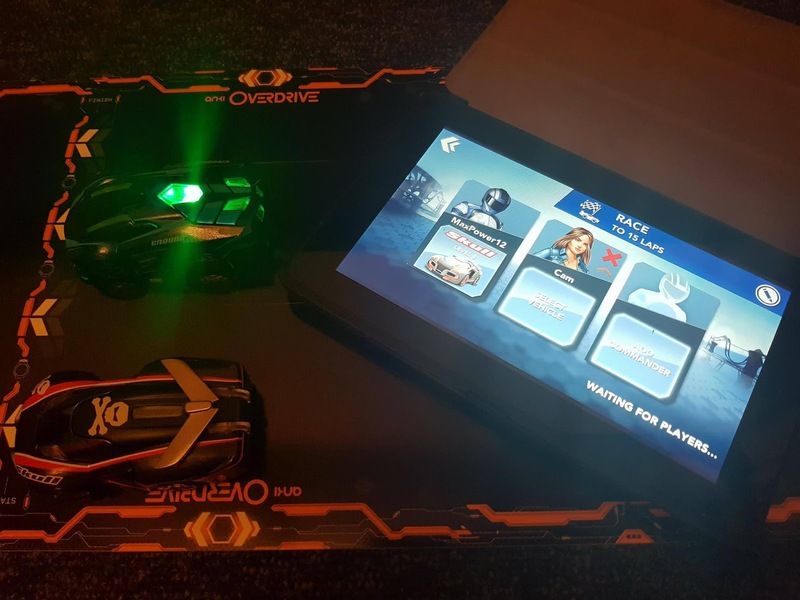 Maxwell, Ben and I were fortunate to be sent the Anki OVERDRIVE Starter Kit. As soon as we received it, we knew that not only would it be perfect for our uses at home, but also my parents uses. We decided to take the Anki OVERDRIVE over to their house so we could all test it out together. The set up of the Anki OVERDRIVE was very easy to complete. To start off with, we simply put the track together. This took a matter of minutes thanks to the "Flextracks" which the Anki OVERDRIVE starter kit comes with. We all remarked on how easy the track was to put together. The "Flextracks" fit together with magnets meaning they are fully removable if you are looking to change the track shape or even add extra track into your set up. 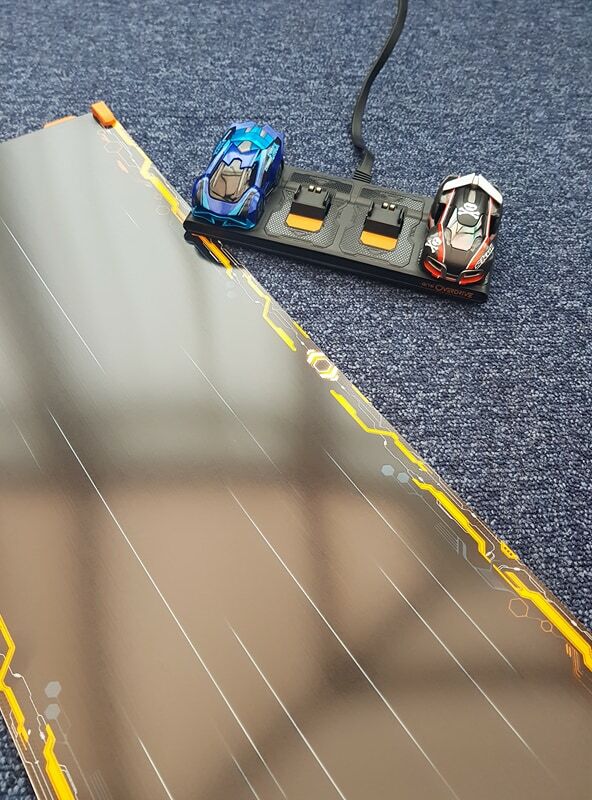 After we had put the Anki OVERDRIVE track together, we had to charge our cars up so we were able to start play. The cars are not battery powered and instead are rechargeable. The Anki OVERDRIVE Starter kit comes with 2 cars as well as a charger for the cars. Each car lasts around 20-30 minutes before it needs to be recharged. The cars then take around 8 minutes to charge. Inside the box, you have a choice of charging ends, this means that you are able to take the Anki OVERDRIVE to many countries with you and still be able to play it. Whilst we patiently waited for the cars to charge, we downloaded the OVERDRIVE app. You will need this app to play Anki OVERDRIVE so it is important that you have a device or several devices (if you want to play multiplayer) that works alongside the app. We downloaded the Anki OVERDRIVE app onto a Kindle, Samsung Galaxy and a iPhone. We have had no issues with using the app on any of these devices. The setup of the app is very easy and we found that the game downloaded to a Samsung Galaxy without needing wifi, we were able to use our mobile data to download the app although if you plan to do this, please note the app is very large. To start off with I downloaded the wrong app - I downloaded the Fast and Furious Anki OVERDRIVE app however I realised my mistake and went on to download the correct app from the Appstore. Please note the Fast and Furious app will not work alongside the Anki OVERDRIVE starter set. Once the cars were charged and the app was set up, we were ready to play. First of all we took part in some training tasks and then we went on to race one another whilst playing multiplayer. 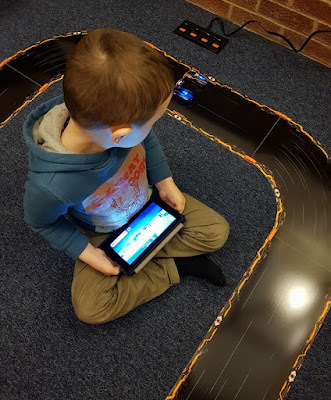 We found that it was easy to set up a multiplayer game and we were able to connect the cars very quickly. Before the cars race, they go around the track and memorise the track so they are able to race around it. I was surprised to see how well the cars managed to memorise the track and I loved seeing how the cars stuck to the track when we raced one another. The cars barely left the track. It was great to pass one another and it was fun to see who would be crowned the winner after each race. 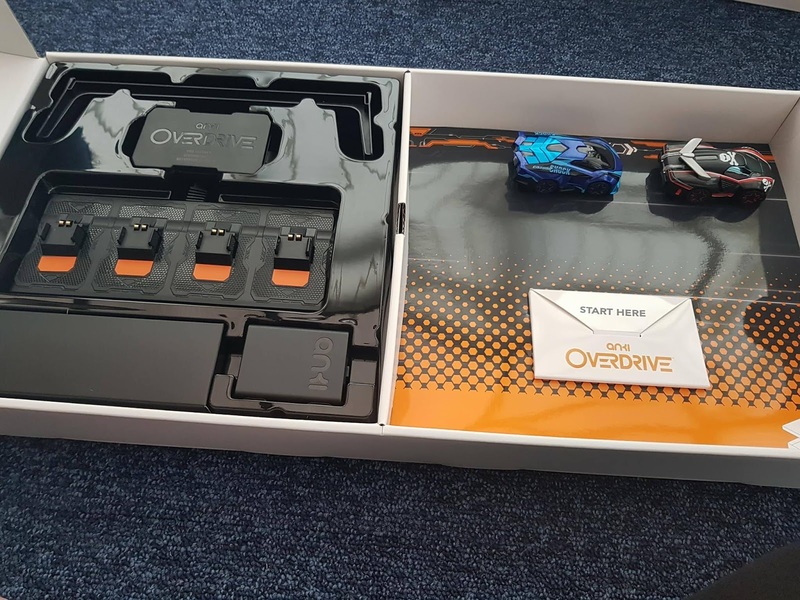 Anki OVERDRIVE starter set comes with basic instructions. Inside the instructions you are able to see that the set requires you to carry out basic maintenance meaning that you need to wipe clean the track after each use as well as clean the tyres of the car. The set comes with a special pad which cleans the tyres of the cars which I think is a nice touch. I feel that maintaining this set is an easy task to complete once you have used the Anki OVERDRIVE and essential to do to keep the set in fantastic condition. 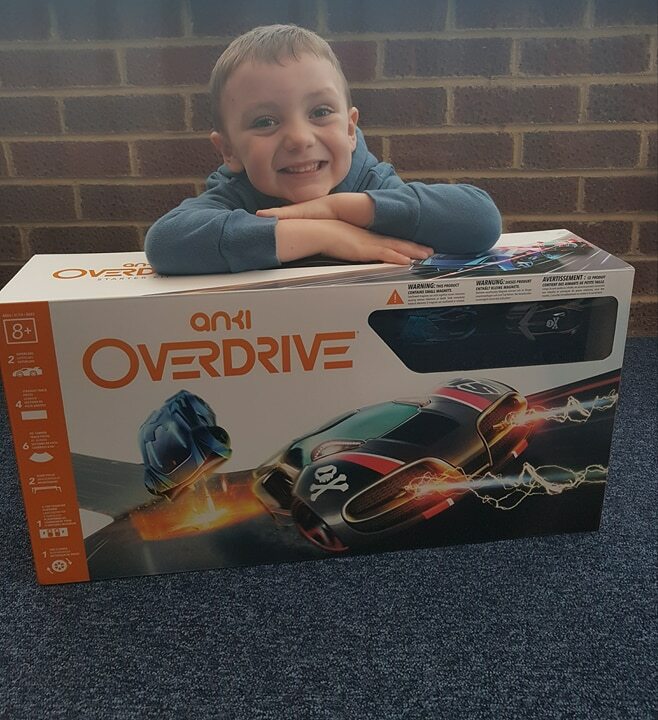 The Anki OVERDRIVE is not just for children or car enthusiasts. The Anki OVERDRIVE is fun for all ages and sexes. 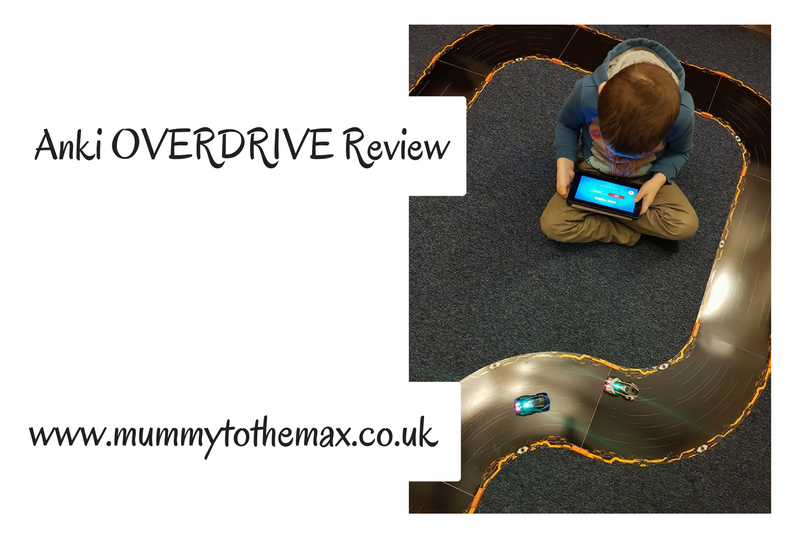 My mum and I had as much fun as my dad and Maxwell when playing with the Anki OVERDRIVE, we were just as competitive as both of them also. I feel the Anki OVERDRIVE is a toy and a game which brings everyone together when it is played. The Anki OVERDRIVE starter kit is available for £149.99 which I think is a very reasonable price for the product. For that price you are getting the latest technology and a toy which will bring hours of entertainment. I can see the Anki OVERDRIVE being on many Christmas Lists this Christmas. Did you know that you can improve and build your starter kit by buying additional sets and cars?